A member of the mixed martial arts (MMA) reality show, The Ultimate Fighter – Brazil (TUF 15, 2012), Sergio Moraes is an accomplished Brazilian jiu jitsu black belt with 4 world jiu jitsu titles to his name as well as a member of the prestigious Alliance Jiu Jitsu Academy. He turned heads his way in the grappling circuit for the first time at the 2008 World Championships after his submission victory over Rickson Gracie‘s son, and fan favourite, Kron Gracie (Moraes would go on to win that same tournament). “Serginho” Moraes has since then cemented his name in the sport as one of the great BJJ competitors of his generation with several other important titles in the competitive circuit, though sometimes being critiqued by his conservative style. Nickname: O Orgulho da Cohab means literally “The Pride of Cohab”, Cohab is the place where Sergio was born. He is also often referred as “Serginho” which is an affectionate way of saying Sergio. Weight Division: Peso Médio (Middleweight) 82kg-181lbs. Sergio Moraes was born in 1983 at the “Cohab”, one of the poorest areas in the city of Sao Paulo, Brazil. As one might figure, Sergio Moraes didn’t have an easy upbringing, but managed to stay out of trouble from the police and away from the easy road, a road so often taken by his friends and those around him. He started training Jiu Jitsu through a social project to take kids off the streets (a training that also consisted in Capoeira) with Everdan Olegário, a teacher that stood present throughout his grappling career and the man that awarded him his black belt in 2006. His first contact with BJJ was the same as 1000’s of others, by watching Royce Gracie in the very first UFC’s and later watching the Rickson Gracie documentary “Choke”. Another one of his idols is Fernando Terere, a man with whom he saw several resemblances with himself, mainly because both had the same sort of upbringing. Serginho had a chance to train with Terere when he was a brown belt, and even competed (and won) for Terere’s team (TT), unfortunately at the time Fernando was going through hard personal problems which led to TT’s demise and Sergio ended up pairing with Fabio Gurgel‘s team, Alliance. In 2008 Sergio Moraes finally reached the pinnacle of BJJ excellence winning the World Championships in the black belt division. His first fight was the one that really got his name stamped all over the press, as he mas matched up against a jiu jitsu celebrity in Kron Gracie. Kron had come from a 51 submission victory run in the World Championships (at the purple belt and brown belt divisions) which is still a record in consecutive wins by tapout. Sergio Moraes was virtually unknown, even though he had won silver in two World Championships (in the blue and purple belts) and had a World title in the Brown Belt divisions (in 2006). The reason behind this anonymity was that Sergio had had a serious injury in 2007 which dumped him in a physiotherapy clinic for the most of that year. 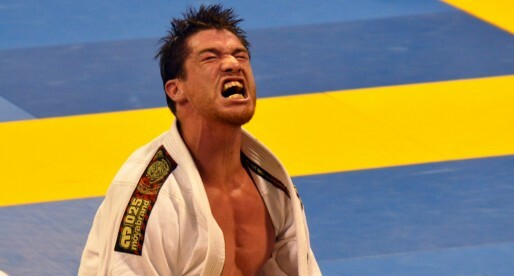 Sergio Morais submitted Kron with a choke after a dominant performance where the score was 12×0 for Moraes. 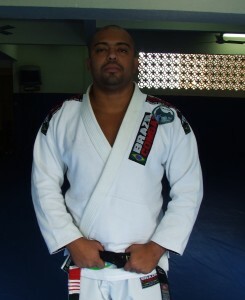 Sergio Moraes repeated the prowess in 2009 by reaching the Worlds Final together with his Alliance team mate Marcelo Garcia. 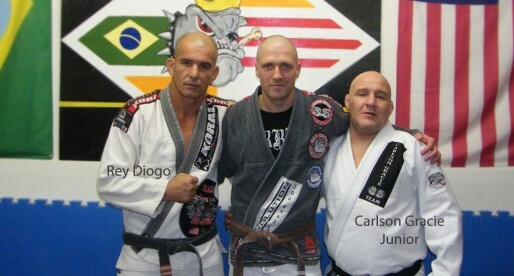 Serginho’s love for BJJ also made him fight MMA, has he wanted to test his jiu jitsu skills in that environment. His career in the sport started well, fighting in Brazil and reaching the Bellator organization. In 2012 Sergio Moraes was brought to The Ultimate Fighter Brazil, a reality show where the members fight among each other for a contract in the largest MMA organization in the world, the UFC. Serginho is just AMAZING!!!!!!!!!!!!! Keep hunting your dream, you can make it with or without TUF Brasil! I look forward to see you in UFC, and I will!!!!!! isso aê serjinho , continue sempre alcançanod seus sonhos , um homen muito admirado por min pela pessoa que é!, sou sua fã !! my favorite athlete in the sport! very nice attitude!